Make your own trailer then! 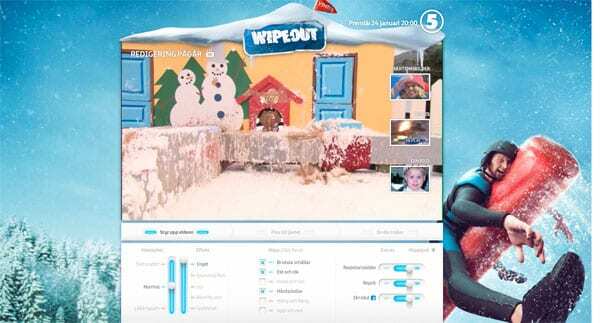 For the fans of Winter Wipeout this meant providing them with their own trailer editing interface and lots of Wipe Out video material (mostly consisting of people getting hit really intense). The participators can also create their own trailer look, customize the popular commentators, adjust sound tracks and publish their work on Facebook. The season premiere starts at the 24th of Jan and from the amount of created trailers it looks like it will be as popular as ever. The interactive campaign is co-ordinated with TV, Outdoor and a variety of internet advertising.